Here we are in the midst of the Christmas Season! 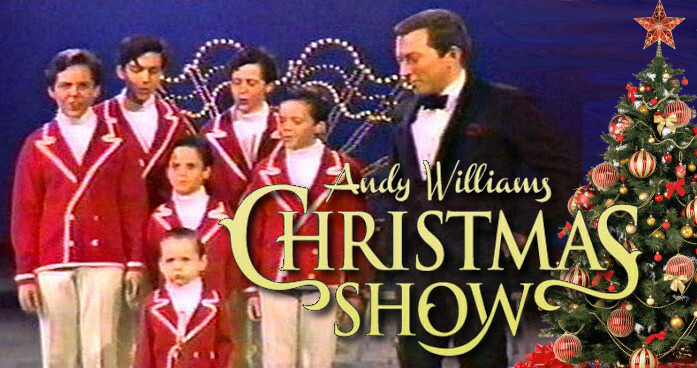 It's a wonderful time to feel that special Holiday spirit & joy! The true meaning! The birth of Jesus! 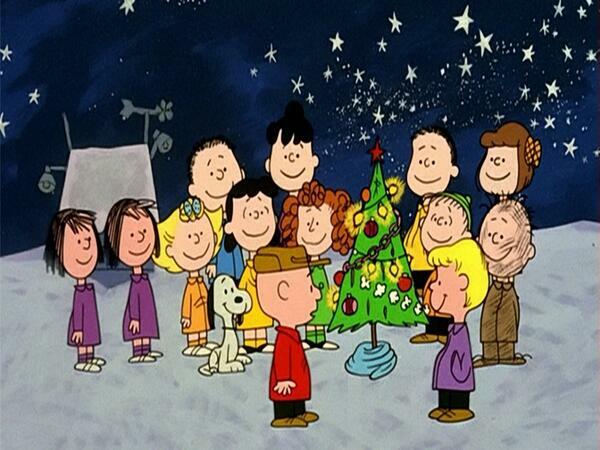 And, hopefully not get caught up in the hustle & bustle, as Charlie Brown and the rest of the Peanuts Gang do - as they are preparing to put on a performance of the Christmas Nativity Pageant! As director, Charlie Brown feels the pressure of trying to please everyone in the play, (especially Lucy!) 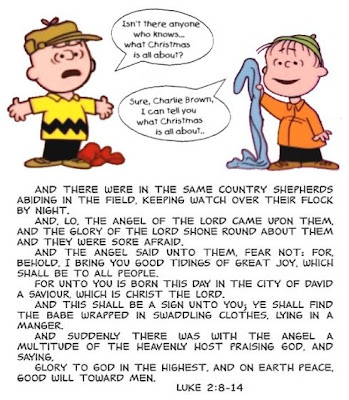 and is nearly at his wit's end when his best friend Linus wisely reminds him... what Christmas is all about! The Wonderful World of Disney: Magical Holiday Celebration! Julianne Hough and Nick Lachey host this primetime special, with performances by Frozen stars Idina Menzel, Kristen Bell, and more!!! 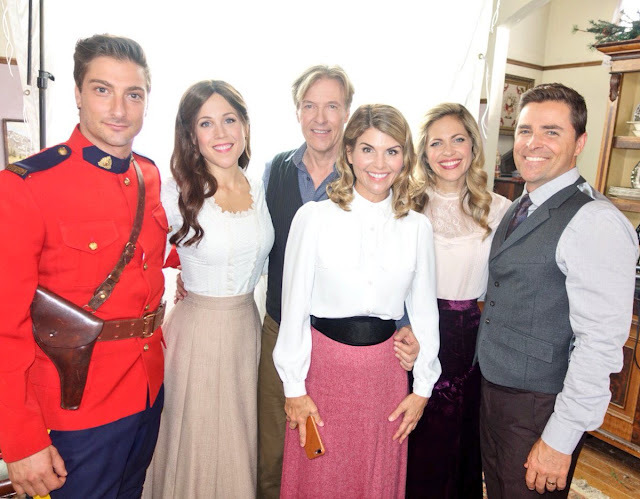 "When Calls the Heart" Season 5 Comes Next Year - See the Premiere Date Here! Pascale Hutton, and Kavan Smith. In season five of “When Calls the Heart,” the network’s longest running primetime series, Elizabeth (Erin Krakow) anxiously awaits news of Jack (Daniel Lissing), who has returned to the Northern Territories, while she focuses on teaching her students and dreams of the day when Jack comes home safely and they can plan their wedding. Meanwhile, she gets an unexpected visit from her sister Julie (Charlotte Hegele), who reveals to Elizabeth the surprising career path she’s decided to take. Abigail (Lori Loughlin) is faced with a new crisis as mayor of Hope Valley when looming financial troubles for the town also impact Lee’s (Kavan Smith) operations at the mill. Ever the dedicated wife to Lee, Rosemary (Pascale Hutton) keeps busy at Dottie’s (Erica Carroll) dress shop as she works to make Hope Valley more fashionable. Sheriff Bill Avery (Jack Wagner) keeps Hope Valley safe, as well as maintaining a close eye on Gowen (Martin Cummins), as the former mayor continues to adjust to his new life as a laborer at Lee’s mill. Gowen keeps tabs on the town’s business and offers unsolicited advice to Abigail, who’s not sure if his intentions are honorable. Doctor Carson Shephard’s (Paul Greene) skills are put to the test when an unknown sickness sweeps through town, he opens his heart to love again and takes a risk that could save or take the life of someone he cares for. In “Meet the Peetes,” audiences will see Holly and Rodney’s hectic lives as they attempt to balance raising four kids, including one with autism, running their HollyRod charity and spending time with Holly’s 81-year-old mother Dolores, who has been living with the Peete family since her retirement from her career as a talent manager. Their daughter Ryan is in college at New York University while RJ, their son with autism, is working for the Los Angeles Dodgers and decides he’s ready to leave the family nest. On top of that, Holly’s mother Dolores announces she’s ready to move out too - the Peetes are in a period of change that will continue to unfold in “Meet the Peetes,” only on Hallmark Channel. 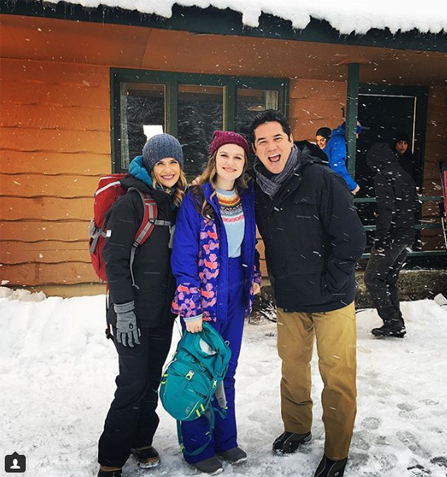 Hallmark Channel Announces 2018 Winterfest Movies! On the Set of "Heart of a Mountain"
*Movie Titles and Plot descriptions above via the Hallmark Channel. 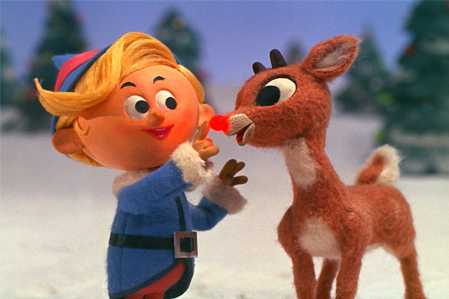 Do You Recall... the Most Famous Reindeer of All? but can they still find a way to fit in? Or, will they live on the island of Misfit Toys forever? to deliver the toys to all the good little girls and boys on Christmas Eve! or will it be too late to save Christmas? you don't want to miss - this Christmas!!! Click on these "Rudolph" products for more details! 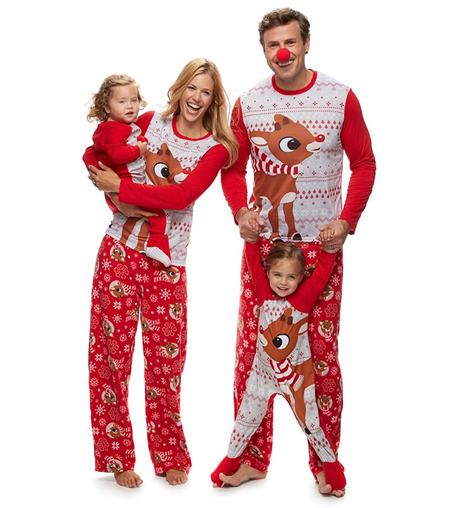 Rudolph the Red-Nosed Reindeer Family Christmas Pajamas! 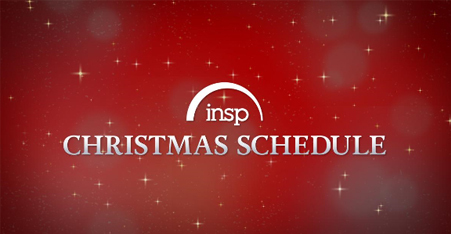 INSP's Christmas Schedule is Here!!! 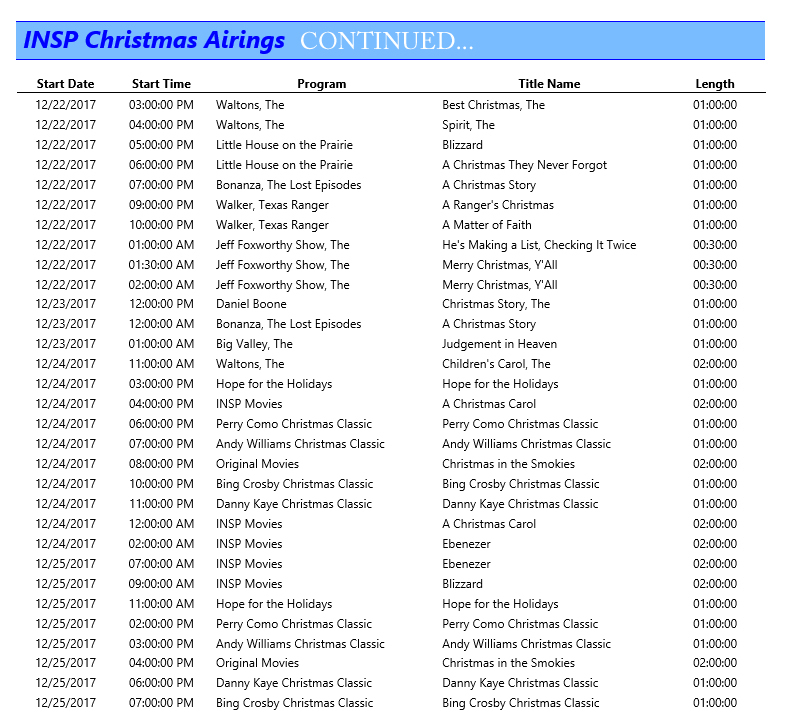 INSP will be unwrapping all sorts of wonderful Christmas and Holiday themed Specials and Movies, all throughout the Christmas season, that are sure to Delight! 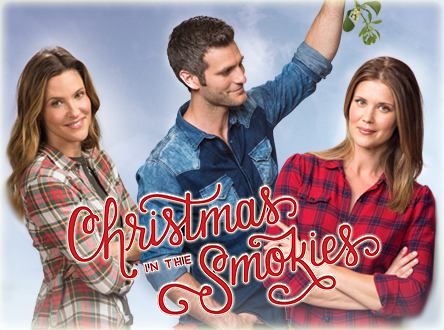 Returning to the INSP Christmas movie line-up this year, is "Christmas in the Smokies" starring Sarah Lancaster, Alan Powell, Barry Corbin, and Jill Wagner! 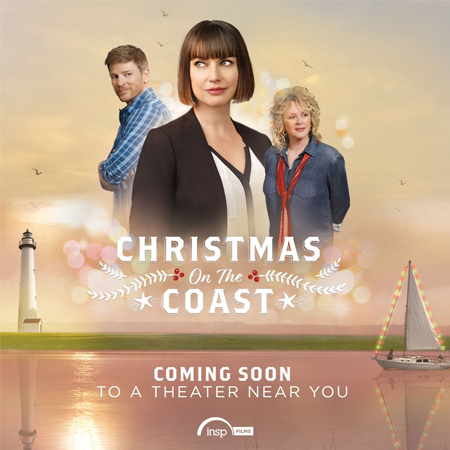 The INSP film "Christmas on the Coast" will have a limited theatrical release, in select theaters, this Christmas season... then it will be released via digital distribution and air on the INSP network next holiday season, in 2018! Stay tuned! 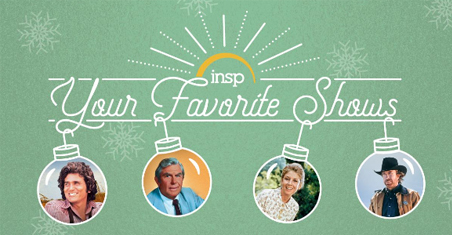 Be sure to also sign up for INSP's Happy Holiday “Jingle” Sweepstakes! Ultimately, someone will win a $200 Visa Gift Card! How awesome is that? Such a fantastic gift from INSP! See all the official rules & details - here! 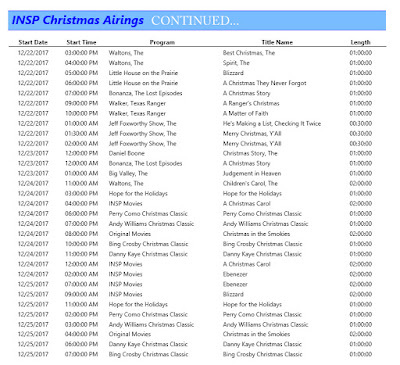 Now, for the INSP Christmas Schedule! 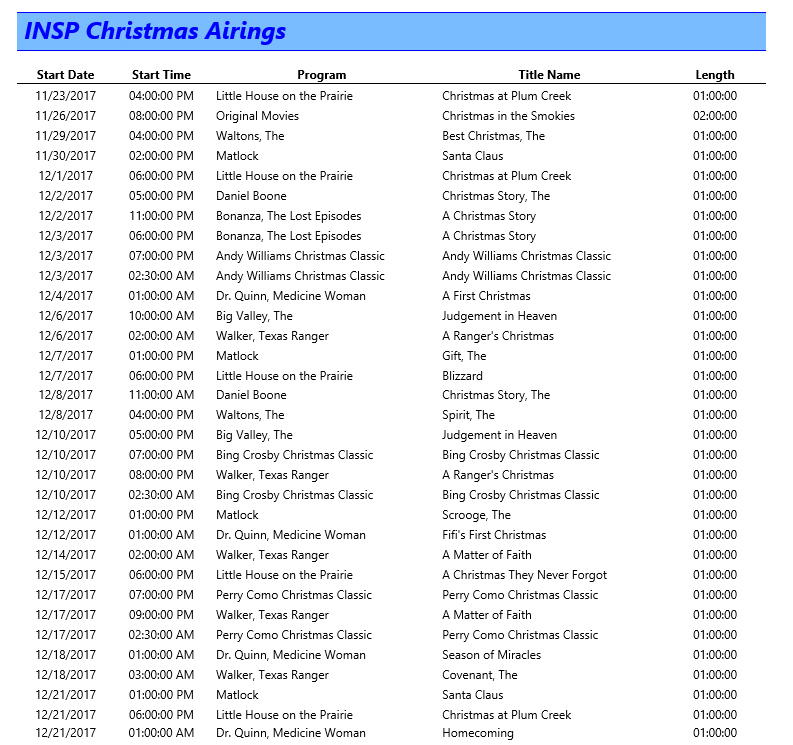 I've added all the Movies & Variety Shows to the main Christmas TV Schedule - plus, you can see the FULL Christmas Schedule below... Simply click the links below to enlarge!